Refreshing spray infused with signature attar fragrance. Iba Real Rose Attar Spray is a specially developed water-based fragrance that is light and alcohol-free. Explore the entire range of Body Mist/Spray available on Nykaa. 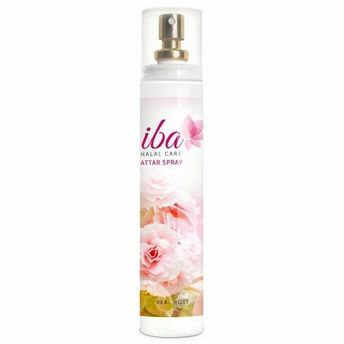 Shop more Iba Halal Care products here.You can browse through the complete world of Iba Halal Care Body Mist/Spray .